Filming with schools and drama workshops to develops skills. Drama and theatre can unlock the imagination of young people, add film making and one has a complete package to motivate and challenge both technically and intellectually. Prins Paard was commissioned by the municipality of Lennik (Belgium) in 2012 and produced by Perilous Landings with the cooperation of Kipdola studios, the Lenniks Archive, SIGO, St. Godelieve Institute and the Prins-committee. Most roles are played by the students of the academy Peter Benoit. "Prins Paard" is set in Lennik, sometime in the near future. There are major financial problems, a lack of work, fuel and food. ’LENNIK - In the context of cross-curricular themes, the pupils of GO SIGO made a movie!. Here the students learn about all the basics of making a movie. The whole school was involved in the film.The working title is HORZE, based on an old Flemish legend. SCENE1TAKE1 has been established in Dumfries since 2009 by Lee Vann-Wakelin.  Scene1take1 is a film making club for young people aged between 10 and 18. The group chooses a theme either documentary or film and then progresses from idea generating, through scripting, storyboarding, producing, filming and editing. PL was pleased to help.them with this project.